Marc is ultimately responsible for all aspects of Chicago Capital Partners, including strategy, investment allocations, management of portfolio company matters, and day-to-day operations. Marc and his partners founded Kovitz Investment Group (an affiliate of Chicago Capital Partners) in October 2003 to provide asset management services and solutions to high net worth individuals and institutions. As President of Kovitz Investment Group, Marc serves his clients in addition to directing many functions of the firm, including compliance, legal, and operations. Before co-founding Kovitz Investment Group, Marc joined Rothschild Investment Corporation in 2001 as a Portfolio Manager in the firm's Investment Management Department. 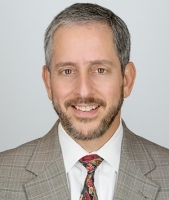 Marc has also been a partner in the Chicago law firms of Neal, Gerber & Eisenberg, Rosenberg & Liebentritt, and Hopkins & Sutter, specializing in real estate and corporate finance and representing various public and private corporations, partnerships, limited liability companies, and individuals. Marc is a member of Young Presidents Organization. Marc received his Bachelor of Science degree in Accounting from the University of Illinois at Urbana-Champaign in 1985, earning recognition on the Bronze Tablet. Subsequently, he received his JD from the University of Chicago in 1988 where he was awarded the Order of the Coif. Marc is a Certified Public Accountant and was awarded the National Gold Medal in recognition of the highest score in the nation on the May, 1985 CPA examination.